Dallas-Fort Worth has an abundance of great choices for venues for your child's birthday party, but it can be difficult to narrow down the right one for your child, and your budget. While planning a party at home may save you a few dollars, by booking an outside event, the staff usually handles everything from the planning to clean up, so you can rest easy. Give your child a butterfly-themed birthday party at Texas Discovery Gardens. If your child prefers trees to insects, do not fret, as you can choose a rainforest theme instead. Birthday parties at the gardens include admission for all guests to the Rosine Smith Sammons Butterfly House and Insectarium, a private party room, tablecloths, paper goods, ice, and utensils. This mega-entertainment complex features an arcade, go-karts, miniature golf, laser tag, batting cages, and more. It is open every day of the year, including holidays, with the exception of Christmas Day, so if your child's special day is on or near a holiday, this is your best bet for the date of your choosing. The birthday party package includes a trained "party captain" to host and organize the party, and a dedicated, table with decorations, food, and all paper products for 1 1/2 hours. Party guests receive a buildable stuffed animal, 10 arcade tokens, a choice of hot dog or slice of pizza, and unlimited soda and popcorn. The birthday boy or girl is gifted with a special birthday mug, a group picture, 200 redemption center points, and free Super Saturday pass. Your child and their favorite doll will love a birthday party at American Girl Place. The ideal ages for this style party are between 5 and 10 years of age. For the per-person charge, you get a meal in the store's cafe, cake with ice cream, pink lemonade, play tiaras, and a goody bag for each guest. Your budding baker birthday boy or girl will love a cookie party at home with Amy's Cookies. Amy provides enough dough, cookie cutters, and icing to accommodate the number of party guests. Each guest gets to make four cookies, decorate them, and bring them home, but usually, guests want to eat their masterpieces right away. Kid Mania is a large indoor playground where kids ride a zip line, climb, slide, bounce, and as the name implies, go bonkers. The restaurant offers hamburgers, pizza, sandwiches, cookies, mini tacos, salads, fresh fruit and funnel cakes, and private rooms are made available for birthday parties. A birthday party at Dave & Busters is guaranteed fun. Party packages include a family-style menu or buffet, unlimited soft drinks, a Power Card for each guest. and a special gift for the birthday child. Each location has more than 200 games to choose from, including 80s arcade favorites, as well as some of the latest and greatest interactive games on the market. There are even classic carnival-style games and the highly popular simulator games that let you take the wheel of a formula race car, fighter jet, motorcycle, and more. Take your teddy bear loving child to Build-A-Bear Workshop to build the furry friend of their dreams. Depending on the location, some stores have food partners like Nestle Toll House Cafe and Chick-Fil-A, but you can count on each location offering a birthday party package. Turn your child's special day into an adventurous safari. The Dallas Zoo provides a reserved area for the party, as well as a cake, party favors, a special present for the birthday child, an animal interaction with a zookeeper, and all-day admission for guests. There is also an optional upgrade that includes a hamburger or hot dog buffet, cotton candy, popcorn, all-you-can-eat buffet, carousel rides and monorail passes for each guest. Pump It Up provides private indoor arenas filled with gigantic inflatable slides, bounce houses, and obstacle courses that will satisfy your energy-filled birthday kid. Recommended for children ages 3 to 12, you can celebrate your child's birthday and let the party coordinators handle all of the party details. Party packages include pizza, drinks, balloons, and goody bags, as well as a personalized, dedicated team of staff, that will take care of everything you need. Let your child take flight at the Frontiers of Flight Museum. Kids can slide out of a mini-jumbo jet, jump inside an indoor bounce house, climb an air traffic control tower, and take a tour through an actual 737 airplane at this flight-focused venue. Birthday parties are two hours long, and you can bring your own cake. The ultimate spa, salon and party place for toddlers to tweens. Who wouldn't love a ride in a pink limo? Some choices are mani/pedi, specialty up-dos or ear piercing. Themes include Perfect Princess Party, Pajama Jam, the Ultimate Cheer, Fashion Diva, So You Wanna Be a Pop Star, Lights-Camera-Limo, and Ice Cream Dreams Spa Party. Throw your wild child a party at the Fort Worth Zoo. A party at the zoo includes all-day admission for all guests, a "Wild Wonders" animal presentation, a private party room and wildlife games and activities. Each child will be given a special souvenir and a gift is presented to the birthday child. The maximum group size is 30 participants and may be any combination of children and adults. For your little prince or princess, book a Made of Sugar and Spice. There are over 25 different themes to choose from including a Signature Princess Party, Signature Diva Rock Star Party, Garden Fairy Party, Afternoon Tea Party, B Good 2 Me Spa Party, Posh Pet Party, and many more. Party packages vary, but all include decorated tables with centerpieces, paper products, utensils, and pink lemonade and water for all guests. 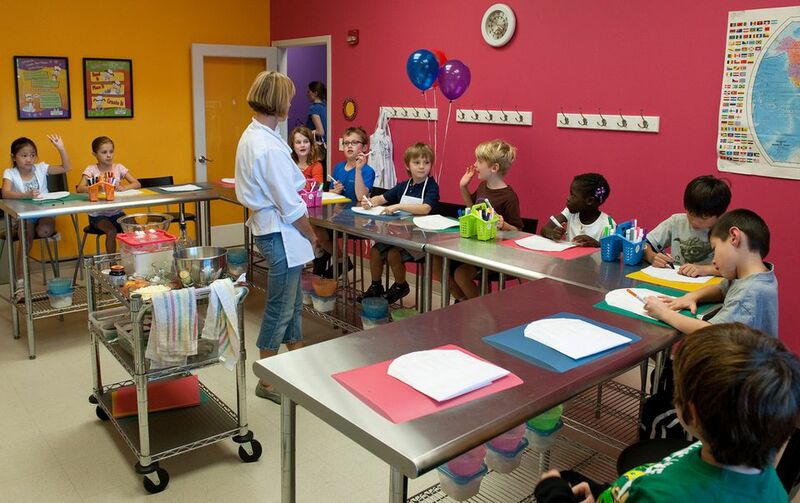 Birthday parties at the Young Chefs Academy are filled with interactive, hands-on cooking and delicious fun for kids ages 4 to 12. The venue handles it all, from printing and mailing invitations to documenting the birthday gifts as they are opened.